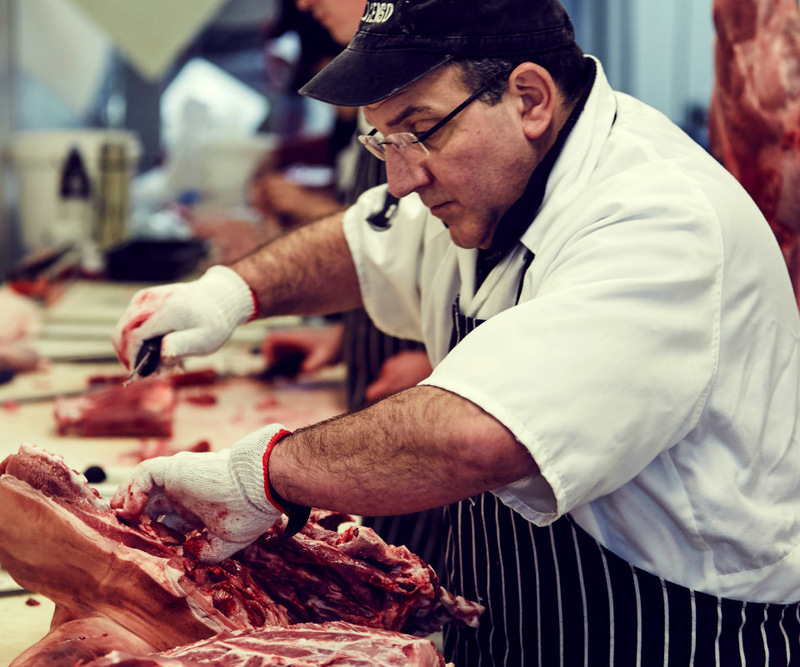 Through eight generations our Di Censo family have distinguished themselves as artisanal butchers dedicated to our rich and ancient craft of butchery. Personally, Antica Macelleria is more than a badge for our logo or a sign above our store. It's also proudly our life. We have a deep connection to the way things have always been done, but that doesn't prevent our business from looking forward. 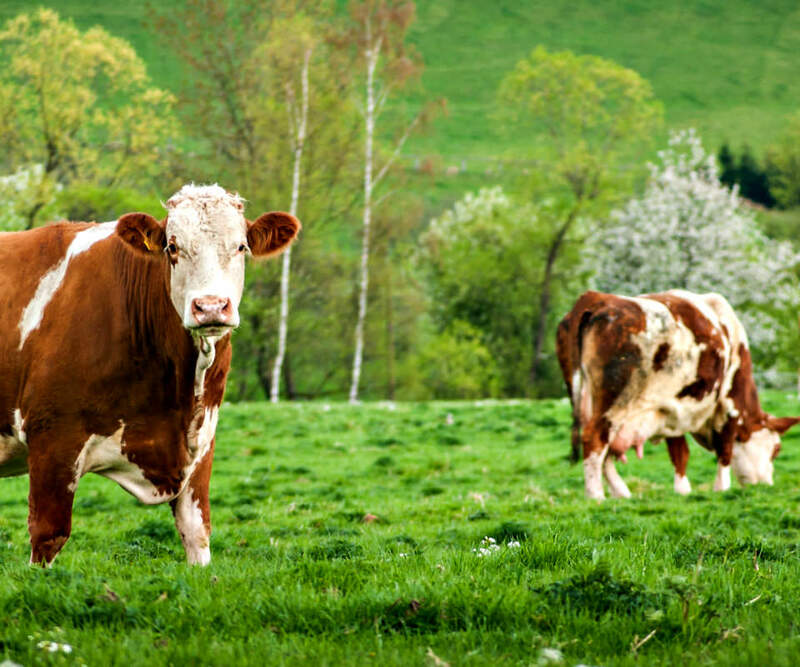 It's why Di Censo is so focused on ethically raised meat, and is committed to avoiding wastage wherever possible. Nose to tail gastronomy isn't a trend, it's the way I was taught to work. It's also why here at Di Censo's we only stock outdoor-bred pork, why we are so focused on grass fed meat, all-natural and organic poultry, and why all of our small goods are house cured. 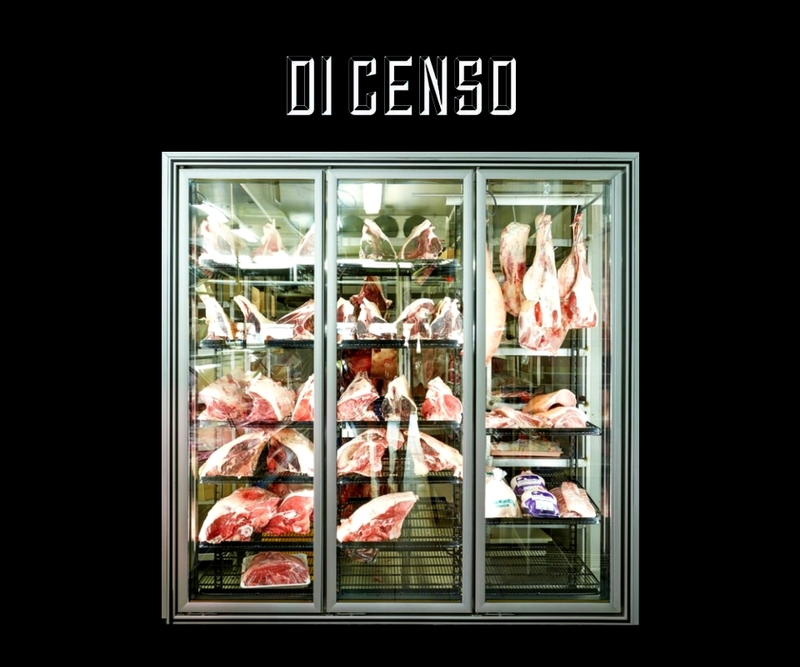 First established in 1968, Di Censo Butcher now sits among Melbourne's most highly regarded purveyors of fine meats (selected for freshness or stored for tenderness and depth of flavour); as well as producers of own own famed and award winning gourmet sausages; sumptuous prepared meals and a delectably impressive array of cured meats and other fine foods. We are extremely proud of our family owned and operated business and the higher welfare produce and allergy friendly food we are able to offer you, our valued customers. At Di Censo's Butchers, we have a simple philosophy. The produce we source must have been cared for to the highest animal husbandry standards. In other words, it must be ethically raised and higher welfare in order for us to partner with a farmer as a supplier of our meat and poultry. There is much confusion around labelling of meat and poultry in Australia. 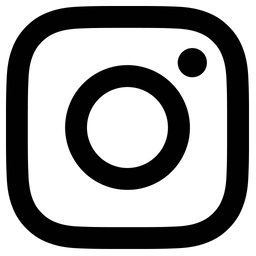 Marketers have created labels which are deliberately designed to bewilder. There is no attempt from a government, farm or reseller level, to make them easy to understand for the consumer. Terms such as organic, free-range and grass fed jump out at consumers on products that are mass produced and sold in national supermarkets, simply because they appeal to consumers emotions and need to feed their families quality. As food labelling in Australia is largely unregulated, marketers are allowed to depict a picture of an animal grazing the land, when in actual fact, that animal has spent it's entire short life being intensively farmed. It's misleading, false and wrong. We want better than that for our customers. 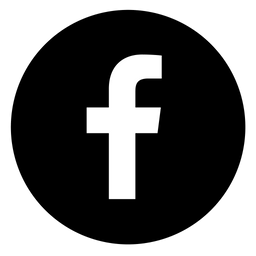 As a reputable family business with extensive experience in the livestock industry, we are only interested in providing our customers with the best produce. So instead of you having to read labels that are misleading and false, you can genuinely trust that what we are selling you has been the best for animal and our environment, and is hands down, the best for your family. Di Censo Butchers are widely known for our range of gluten-free products. We started making gluten-free sausages 25 years ago when members of our family were diagnosed with food intolerances. We also make fructose and lactose-free sausages. Food intolerances, whether it be gluten, fructose, sorbitol, MSG, preservatives or artificial colours, have become a real problem in modern day food. In part, this is due to the evolution of food and how it is processed. Many of our senior customers would report that these issues didn't exist back when they were kids or young adults feeding a family. Back then though, food was grown locally and eaten seasonally. Many people grew their own and shared amongst their community. Food was a commonality that bought people together. Now, the majority of our food is mass produced for a global market; can travel more kilometres than the average person does in their lifetime and is heavily processed to ensure it stays preserved for human consumption. The list of ingredients that are added to our food to enable it to travel from point of origin to the rest of the world; look a certain way and increase it's shelf life, is extensive and not at all, good for us. It is simply making us sick. So what's the answer? Do your research and find fresh produce suppliers, like us, that are aligned with what you believe in and what you would like your family to consume. Be discerning consumers, buy locally from providers that source from local farmers and revel in the massive health benefits you and your family will experience. 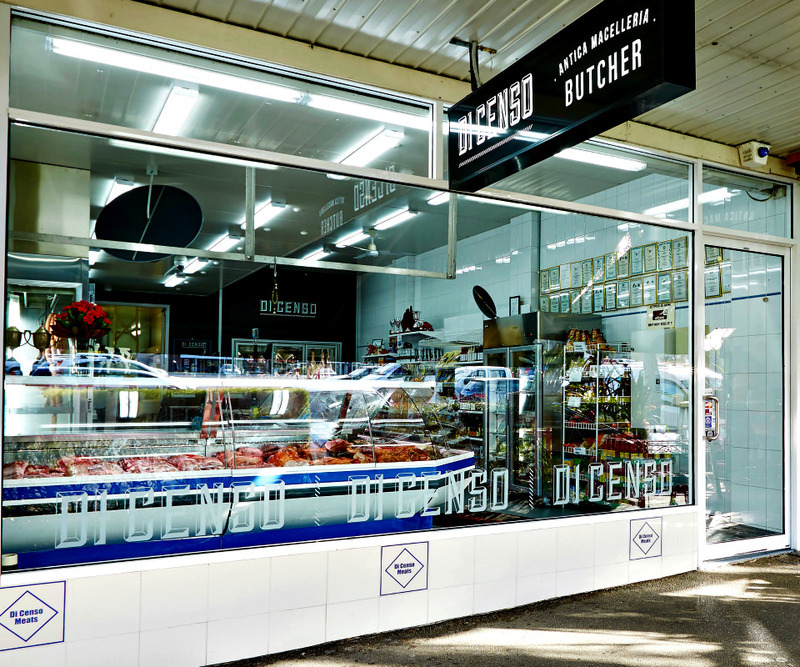 The staff employed at Di Censo Butchers are family, or have been with us so long, we consider them family. Many of them have been with us for years and we have watched them develop into exceptional young people. They are highly knowledgeable about our produce and how best to prepare it. If you are ever feeling stuck with how to cook something or in need of some ideas for feeding the family, ask our staff, they will not disappoint. Excellent customer service is non-negotiable. Our staff are friendly, courteous and respectful. If there is something in particular you would like prepared, all you have to do is ask. All staff like to educate our customers on healthy food choices, especially the younger ones that come in and are just starting to cook for themselves. We want them to set out on the right path and stay away from mass produced and highly processed food, that leads to ill health. Food not only brings people together, it's also the best medicine nature has to offer.